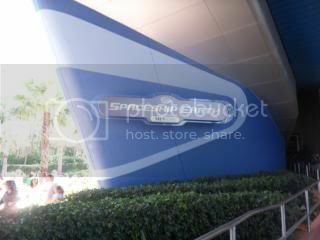 Note: I used a multiple upload featuring for all the parts of this trip report so my apologies for the low-res quality of some of these pictures! I have used a bunch of them already in previous posts on the site and on Facebook so I hope you don't mind! 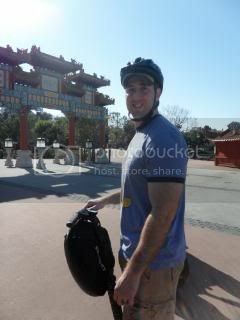 The April 2011 Trip Report will be back to the old upload quality again!! 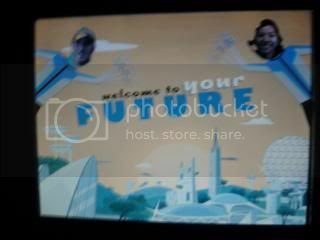 The next morning we were well rested when Mickey and Stitch rang our phone for our wake up call! 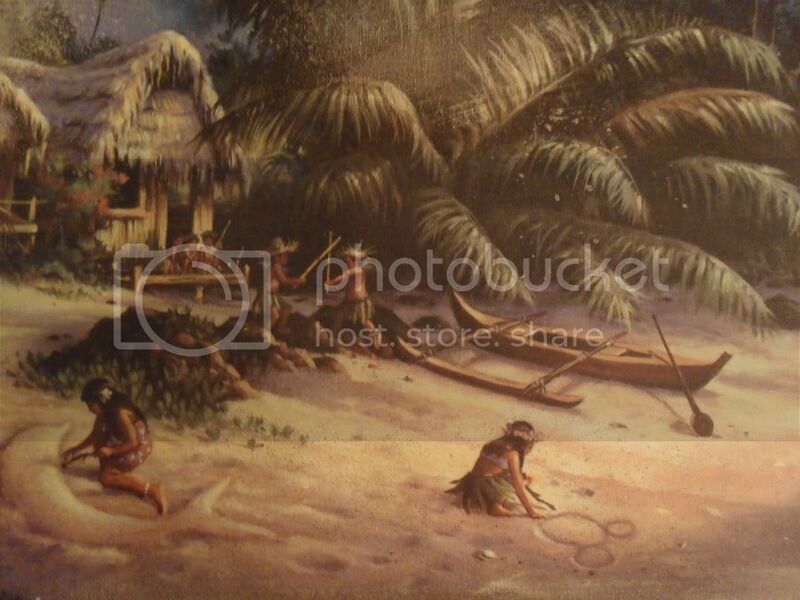 While hubby was in the shower I noticed my first hidden mickey of the trip... in a huge painting hanging by the beds in our room there was a girl drawing mickey in the sand! 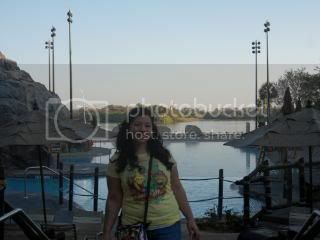 I was really into the whole theming of the Polynesian, especially the turtles everywhere! I just heart turtles! 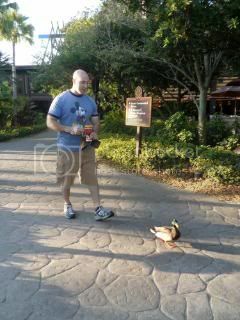 We headed out for breakfast at Captain Cook's and got to have a nice interaction with some of my favorite creatures on Disney property: Disney Ducks! We also got to see a great view of Cinderella's Castle we hadn't noticed from the Poly the day before! 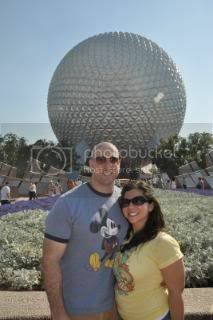 After breakfast, we headed off to Epcot. 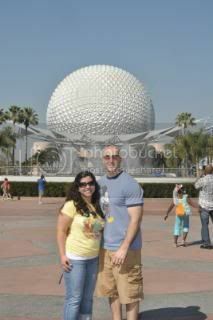 We had a tour scheduled this morning and got to enter the park before it opened! Very cool! Great picture ops AND I love that guests with early breakfasts can do this too! We headed to guest relations (we were the first couple from our tour to arrive and after checking in made friends with the castmembers here! 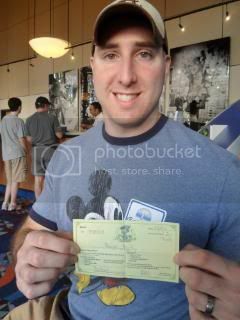 The CM from Germany told us all about the Duffy the Disney bear hype (and I realized I have a Duffy from the World of Disney store that used to be in NYC) and one from the states got us all checked in. We got to meet one of our guides and when I literally tried to sweet talk him into letting Rob go run and FP Soarin' for us we got a little Disney magic! A No Strings Attached Fast Pass!!!! 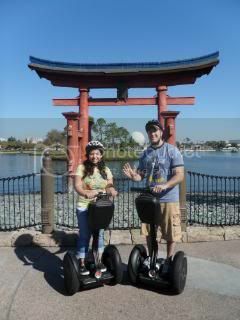 We headed out on our Segway Tour of World Showcase! 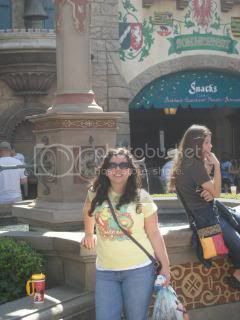 It was an AMAZING experience!! If you are at all interested- DO IT!!!! 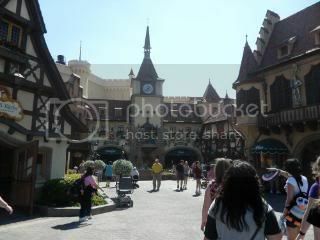 Here's alink to my Chip and Company review of it with some extra pictures from the ones below and you can find some pics on the Picturing Disney Facebook. 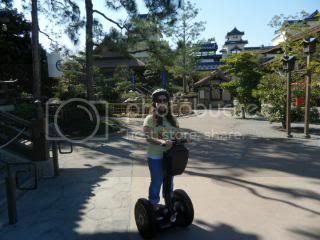 After we retired our Segways, we headed into The Land for our first ride of the day on Soarin'! We were smart about it... before we road we fast passed it for later! 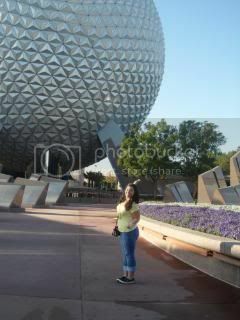 ;) Once we had returned from our gliding adventure we headed over to Spaceship Earth. I am not sure why some people skip this! Its amazing! I adore it! 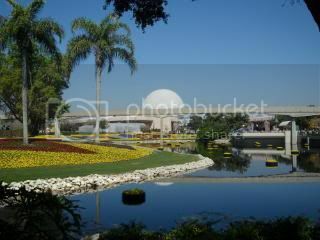 Literally, I want to bring every one of my students to Epcot when we go on it... it LITERALLY would help them review for their Global Studies final!!! Maybe someday! 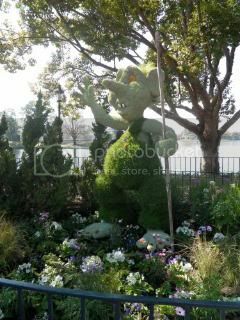 After our ride into our future we decided to head back into World Showcase and stop and see the Flower and Garden Festivaltopiaries that had already been put up! Just to give you an idea on this map... 2, 8, 12, 15, 16, 22, 26, 27 were all up and complete and we could see Bambi and part of Toy Story under tents. 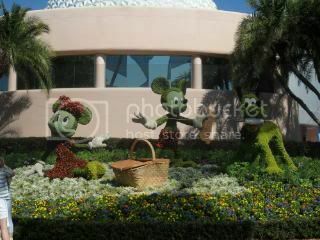 So we really got to enjoy about half of the topiaries and it was a couple weeks early! 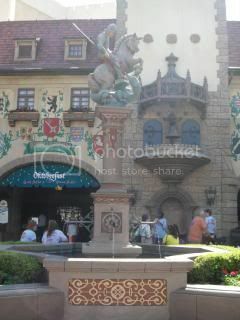 We headed into the Germany pavilion for some Brauts and Beerfor lunch. 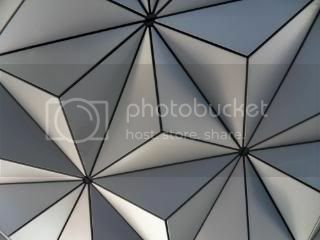 I love this pavilion. I shared with my husband the story behind the fountain center here and now I will share it with you. Medieval lore often used Dragons to represent the devil, and with such a huge emphasis on Catholic faith you could imagine the reverence St. George would receive for this doozy... Long story short: supposedly a dragon was destroying a bavarian village and a beautiful princess was offered to the dragon in return for him leaving the village alone. 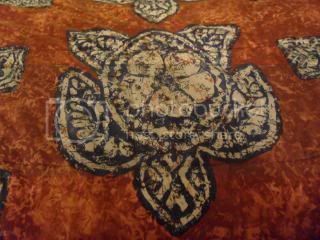 When King George heard of this he headed straight for the dragon and fought it to its death, both saving the village and the princess. We ordered our meal at Sommerfest, shared a table with a lovely couple from Las Vegas, and then headed into the shops here to find a couple gifts. 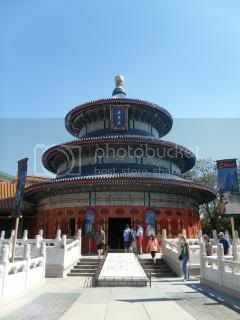 We then made our way into the China Pavilion! 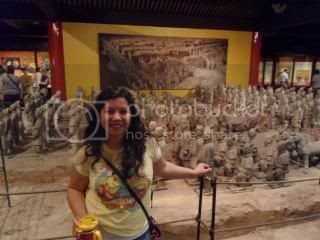 We walked through the video area and saw the replicas of the Terra Cotta Army that can be found here! 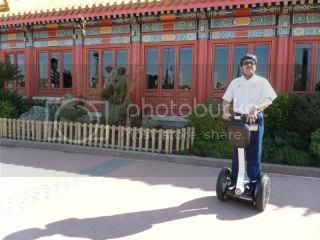 Seriously, just another reason why I feel my students need to take a field trip down to Disney! 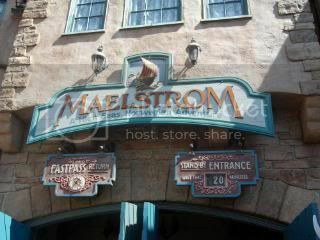 Next we made our way over to Norway for our first ride on Maelstrom! Very cool! 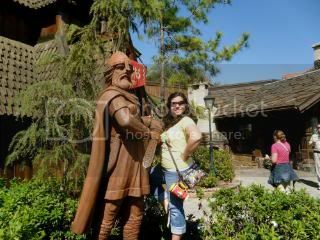 And being that my husband is part English and I am part Irish, we more than likely have some Viking in our past so this is a nice look at really the heritage of most any people of European descent. 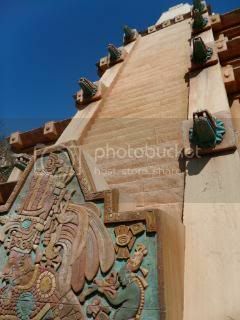 Moving right along, we stopped in Mexico for a little bit of time next... some shopping in the Marketplace and then a ride on my FAVORITEGran Fiesta Tour with the Three Cabelleros!!! 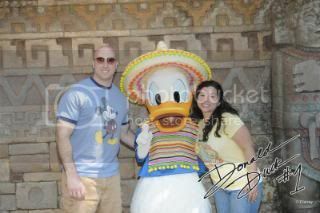 And we were lucky enough to meet Donald in his Mexico garb on the way out!! Woot woot!